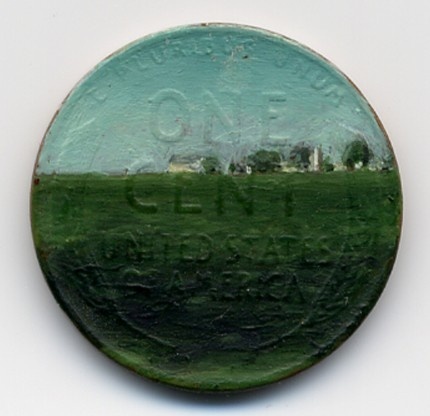 Artist Jacqueline Lou Skaggs painted tiny oil paintings on pennies for her series “Tondi Observations.” The miniature paintings include pastoral landscapes, still lifes, and portraits. 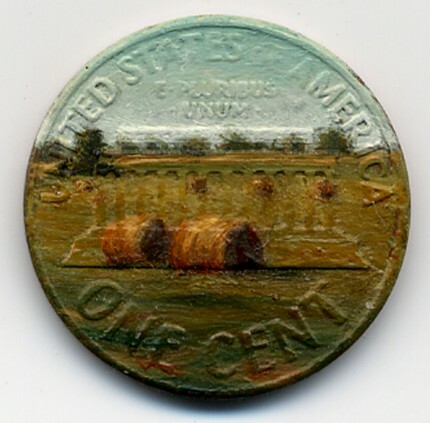 Skaggs originally intended to spend the painted pennies or toss them on the street but her plans were foiled when people purchased the paintings. 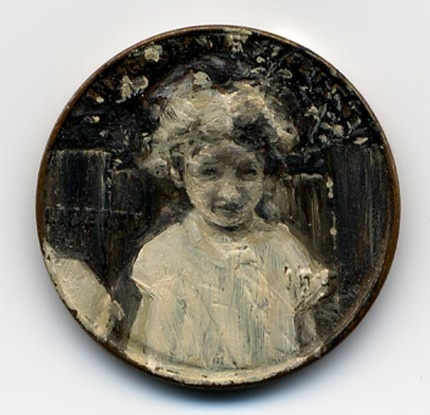 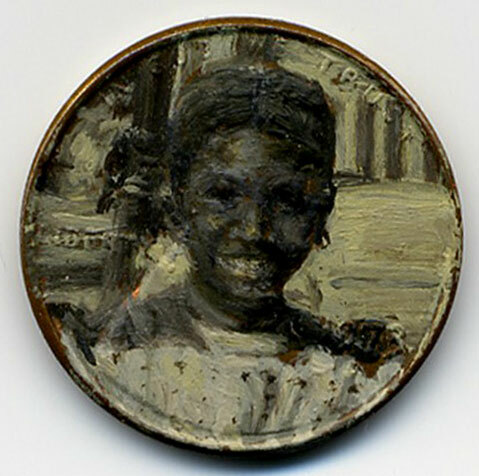 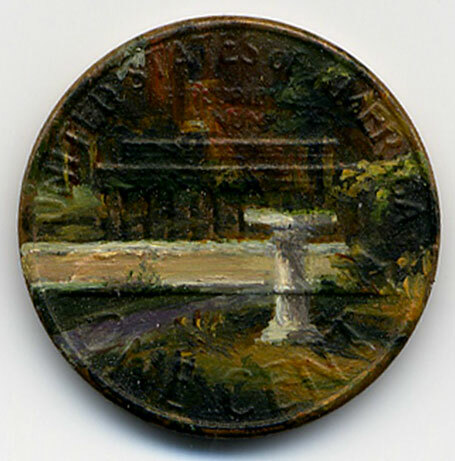 This small body of twelve works consist of images painted on found, discarded pennies and reflect a decision to move away from making “pictorial” images. 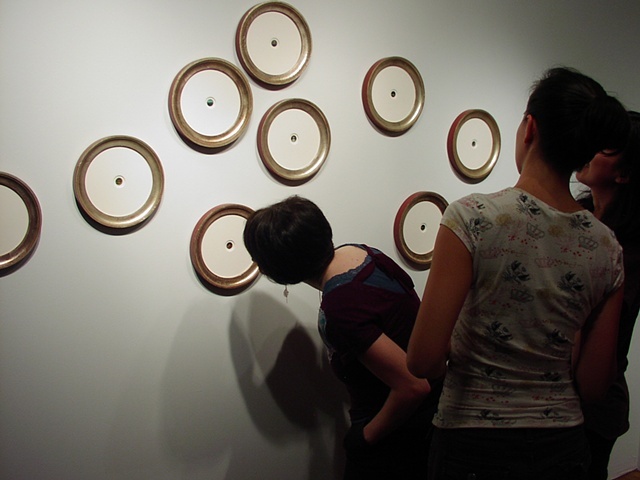 A grand finale of sorts paying homage to the binding ideologies that define our family, religious, social and political worlds. 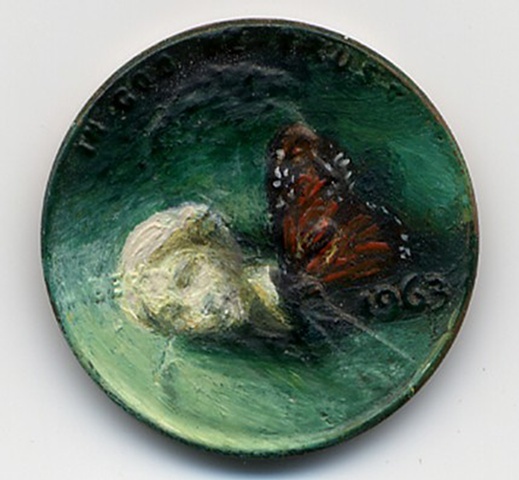 Paid tribute no less on the face of discarded coins these iconic images transcend the coins value while defacing it.